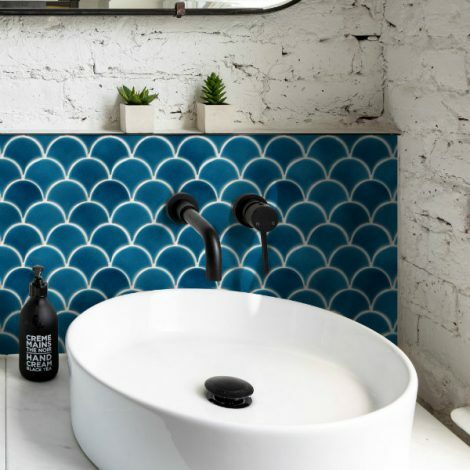 Swimming their way into bathroom and kitchen interiors, these scallop porcelain mosaic tiles will add drama to any design scheme. 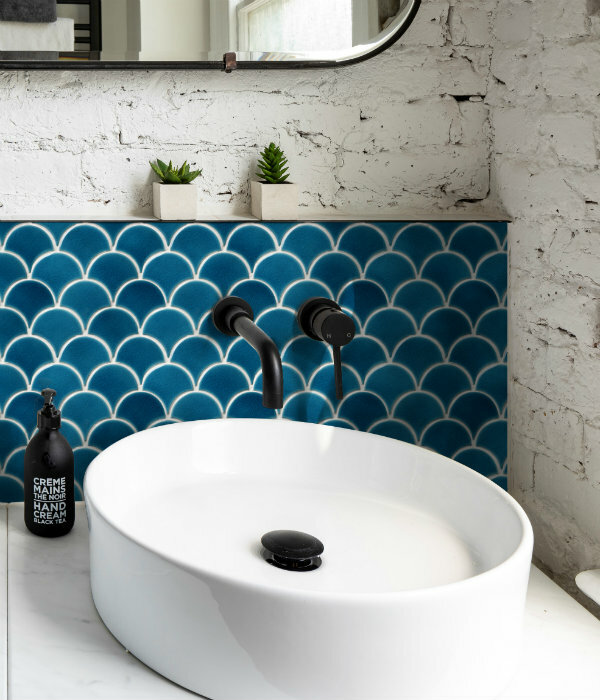 The mosaic tiles are inspired by the coast with a bright blue and vivid green colour palette. 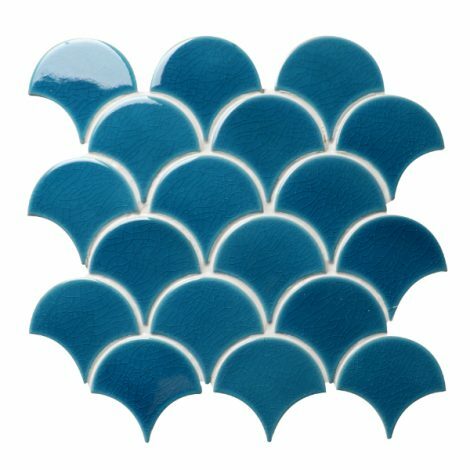 The crackle glaze adds a beautiful iridescent finish to these fish scale shaped tiles.